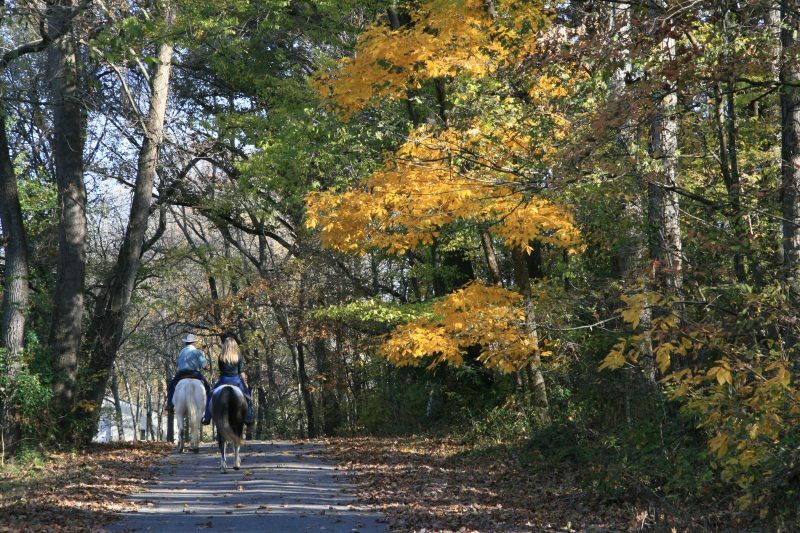 Equestrian trails on private property are in danger of disappearing. Concerned riders need to organize to protect their endangered trails–the sooner, the better! Creating a trail system organization is a great start to focus efforts, incentivize volunteers, create enthusiasm and produce a tangible result. This article will discuss some successful trail organization models for trails on private property. A Loose Network, formed by agreement among neighbors to use and maintain the area trails. This works best when there is low usage and density, and good relationships among landowners of similar interests. Advantages: No formal legal organization is necessary. Limited participation in trail upkeep and no membership regulation requires little work. Disadvantages: Easily destroyed by irresponsible users or development. Loose organization makes trail maintenance, communication, legal protection and accountability are a problem. There is no revenue to cover costs. Landowner-Only, organized through homeowners’ associations or neighborhoods, this is the model often used in equestrian developments and where a high concentration of equestrian landowners. Advantages: More clearly defined “membership” facilitates communication, usage rules, accountability, trail maintenance and legal liability issues. Trails can be permanently protected by development deed restriction and covenants. Disadvantages: Often very limited riding potential. Work and expense for maintenance concentrated on small number of users. Slower turnover so volunteers age- or burn-out. “If I can’t use your trails, you can’t use mine” retaliation may prevent members from using trails outside of the defined area. Open-Use, with membership is open to non-landowners. Often a natural extension for areas with a long equestrian history. Advantages: More available volunteers for organizational functions. Greater usage revenue generates income to pay maintenance, insurance and other expenses, creating greater landowner satisfaction with equestrian use. The trail system may become a valuable “community asset”, increasing land values. Landowners more likely to qualify for Recreational Use Statute legal protection. Disadvantages: Requires greater organization to establish and administer. Need to limit numbers to sustainable levels by quota or residency restrictions. Legal Liability is the biggest concern for landowners. Properly drawn and executed liability release/indemnification agreements protecting the landowners delivered by every user are absolutely necessary. Recreational Use Statutes in every state lower the landowners’ duty and provide the best statutory liability protection to landowners who permit uncompensated recreational use, but legal precedent has required “public use” access to achieve this level of protection. Equestrian Activity Statutes in every state define what is “not negligence”, but they do not change the ordinary negligence standard and require strict adherence to statutory requirements. Liability laws are different in every state. Check with your state’s horse council for EAS requirements and referrals for equine attorneys in your state. One bad accident can spook landowners and lose trails, so prevention is the best defense against liability. Riding on private property is a privilege, not a right. Requiring SEI approved helmets will lower landowner risk and it is the least riders can do for the landowner. “Entitled” attitudes and inconsiderate usage lose trust and trails. Landowners have reasonable expectations that they and their property will be treated with respect (e.g., polite riders, helmets, no smoking, littering, drinking, using landowners stuff, etc. Loose dogs riding near landowners’ livestock and pets and riding while the trails are wet are big landowner complaints.) Rules and consequences must be clear, and riders held accountable. It is important that members all agree not to ask for “special exemptions” to the rules as this can increase landowner liability and make enforcement difficult. Dues should be assessed to cover reasonable expenses. For liability reasons, they should not be tied to the amount of usage and all users, including landowners, should pay dues. Equestrian Only or Multi-Use Trails? It is really up to the landowners how their land is used, and you must be flexible regarding non-equestrian use. In my “home” system, our members only have a right to ride or carriage drive, but nothing else. Many landowners allow walking, running and dog walking, but restrict biking and motorized vehicles as too dangerous. Other systems are multi-use. This will really depend on negotiation with landowners, but should be addressed early. Commercial use allowed? Private property owners usually don’t want their trails used to make money for other people. 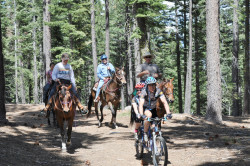 Commercial trail riding, short term rentals and horse B&Bs are a problem because of usage regulation, landowner consideration and privacy and liability. There is a lot to think about in starting a trail association. ELCR recently hosted a webinar titled “How to Create & Sustain a Private Trail System”, which may be viewed on the ELCR website here. 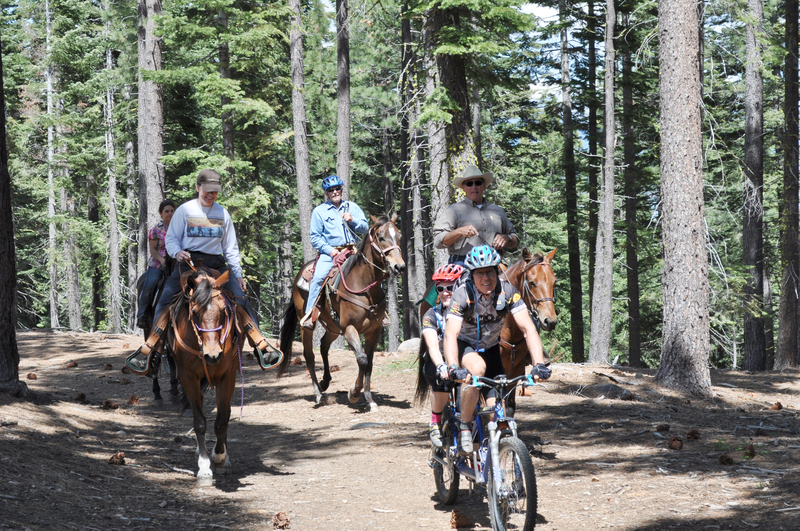 This article is reprinted with permission from The Trail Rider. To subscribe, please visit TheTrailRider.com.